A Russian legislator who co-sponsored the controversial anti-gay law recently introduced, has said the government cannot suspend the law for the 2014 Winter Olympics, as has been suggested this week. 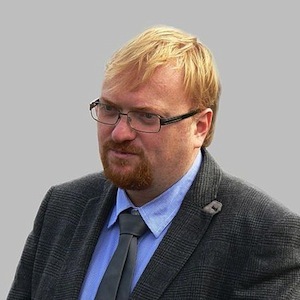 Vitaly Milonov said on the BBC’s Russian-language service, translated by JoeMyGod, that the government should not selectively enforce the law, which bans homosexual “propaganda”, of which he was a co-sponsor. Last week the International Olympic Committee announced that the Russian government had said it would ensure the safety of all athletes and spectators during the Sochi 2014 Winter Olympics, regardless of sexuality. “I haven’t heard any comments from the government of the Russian Federation, but I know that it is acting in accordance with Russian law. And if a law has been approved by the federal legislature and signed by the president, then the government has no right to suspend it. It doesn’t have the authority,” said Milonov in an interview with Interfax. In a different interview, the legislator went further to say that he doesn’t know of any LGBT athletes, and that the law had nothing to do with “the ordinary life of adults”. “I can say that the best figure-skating in the world is the Soviet school of figure skating. All of our people have been completely traditional — I am personally acquainted with many Olympic champions. In fact I practically grew up in those families,” he said. President Vladimir Putin signed the controversial law last month banning the promotion of “non-traditional relationships” toward minors, a move that has been criticised as part of a broader crackdown on Russia’s gay community. British campaigners have likened the law to Section 28, a now repealed ban on the ‘promotion’ of homosexuality in schools or by local authorities. Earlier this month, speaking exclusively to PinkNews, Deputy Prime Minister Nick Clegg urged Russia to protect the rights of LGBT citizens following concerns about gay athletes and spectators attending the 2014 Winter Olympics. A number of British and American gay bars have said that they will boycott Russian vodka. One of the most popular Russian sourced vodkas, Stoli, has criticised the anti-gay policies of the Russian government. Some campaigners have called for a boycott of the Winter Olympics.